Good morning! Guest designer Tami Mayberry here with you today to share another new project using what I would say are my top three favorite Scrapbook Adhesives by 3L® products: Adhesive Sheets, 3D Foam Squares Mix White and Dodz Adhesive Dots 3D. As I mentioned in past posts, I love to use Adhesive Sheets for intricate dies. This makes materials with fine details quick, easy and mess-free. Before die-cutting the shape remove the yellow backing and attach the adhesive to the back of the paper you want to die-cut. 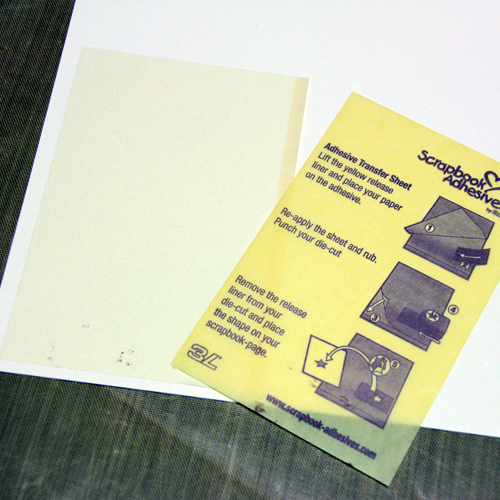 Then, simply run through your die-cutting machine and remove the paper backing. 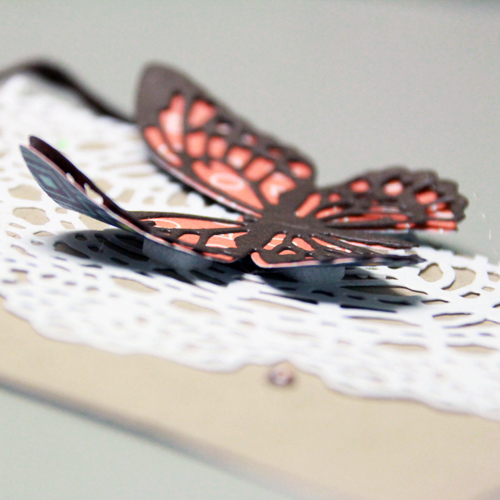 On today’s design, I used this process for both the doily die-cut and the brown layer of the butterfly. View How to Use Adhesive Sheets for Die Cutting and More video below. 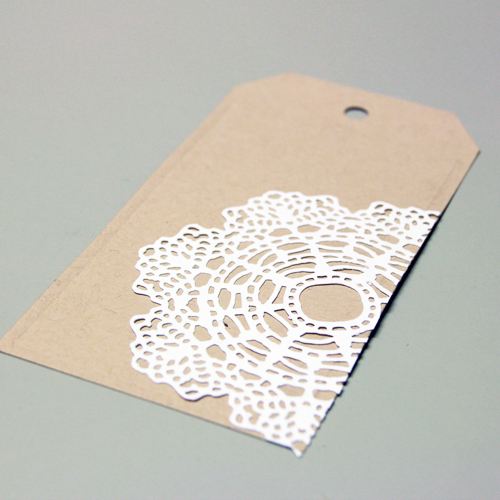 Once the doily was die-cut I attached it to a kraft die-cut tag and trimmed the edges as shown below. Next, I stamped the sentiment onto the tag. 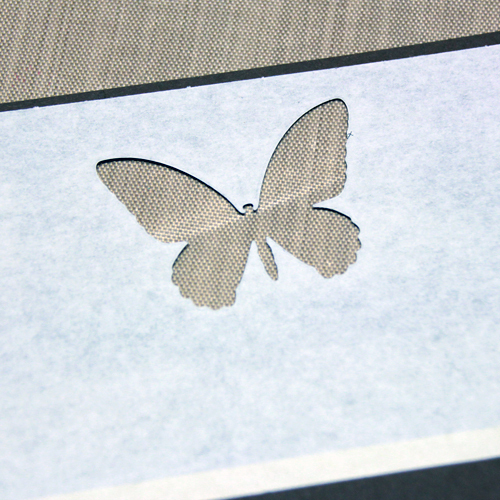 I die-cut the bottom butterfly layer from orange patterned paper and the top layer from brown cardstock. For the top layer, I once again attached Adhesive Sheets to the back before die-cutting then simply peeled the backing off and attached to the orange layer. 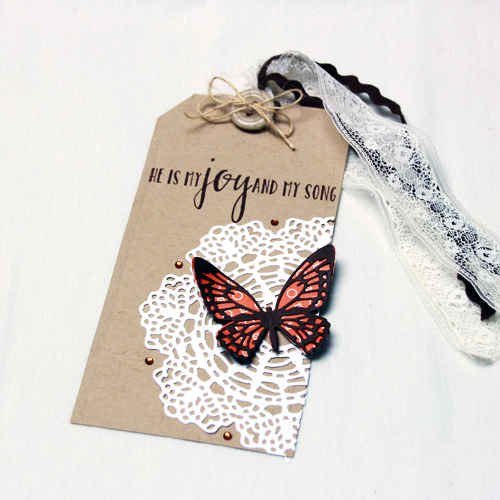 I then attached the layered butterfly to the tag using Foam Squares Mix White. This is the second of my favorite products because it adds just the right amount of interest to projects by enhancing the 3D look of the layers. I ran lace and ric-rac through the hole of the tag. I then threaded the button with twine and attached it over the hole using Adhesive Dots 3D. 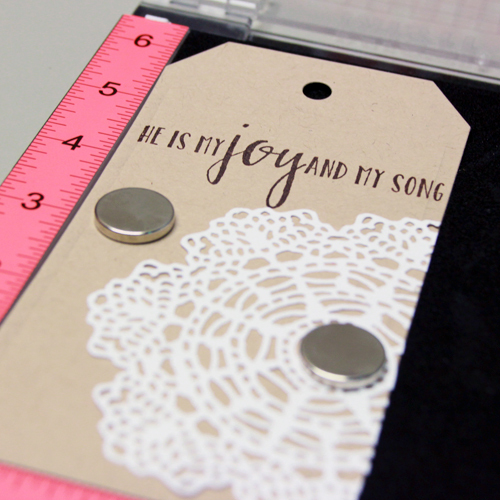 The thing I love about these adhesive dots is their ability to hold thick or heavy items firmly to a project. The round shape and size variety is also a plus for attaching buttons, sequins, flat-backed pearls and rhinestones. Finally, I embellished the tag with rhinestones and there you have it — Quick, easy and filled with little details thanks to the help of the great line of Scrapbook Adhesives by 3L® products. This entry was posted in 3D Foam Squares, Adhesive Dots & Lines, Adhesive Sheets, Adhesives, Crafts & Tutorials, Embellishments, Tutorial and tagged 3D Foam Squares Mix White, Adhesive Dots 3D, Adhesive Sheets 12x12" (25 sheets), Adhesive Sheets 12x12" (5 sheets), Adhesive Sheets 4x6", Clearsnap, Die Cut, Doily, My Sweet Petunia, Reverse Confetti Stamps, Tag, Tami Mayberry. Bookmark the permalink. 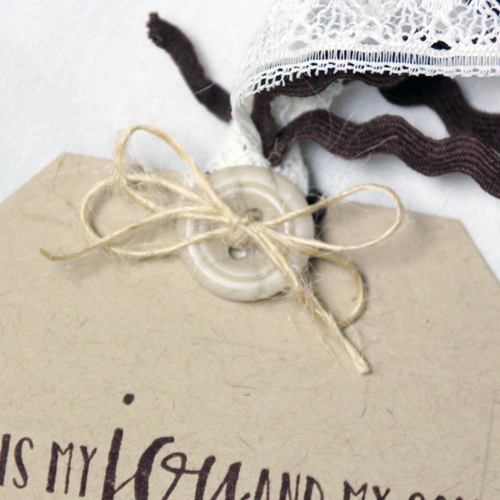 One Response to "Doily + Butterfly Tag with Favorite Scrapbook Adhesives by 3L"